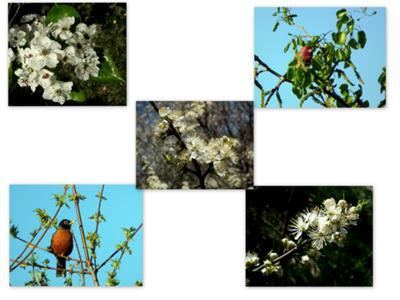 Here are a lovely set of pictures submitted by one of our readers from Georgetown, Ontario. 1. A beautiful day in Georgetown - an assortment of Birds and Blooms. 2. 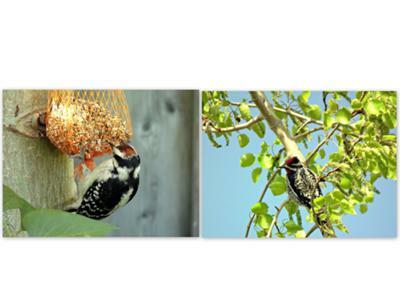 There is also a picture titled, "Visit by "Downy"Regular and "Nutall's Woodpecker" (First visit ever), to our Georgetown garden". 3. 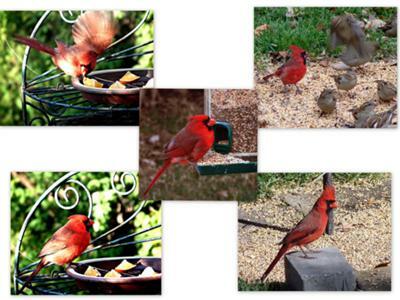 The Cardinals are amongst our most favourite visitors, but it's too bad the Grackles are constantly harassing them. 4. 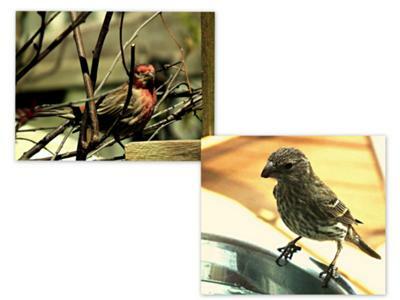 Purple Finches - Note the striking difference between male and female. They are "An item"